Necessity, though, is the mother of invention. And, innovative parking solutions are emerging as alternates to address the issue. Tedra Automotive Solutions Pvt. Ltd., is one of the leading companies dedicated to provide such solutions. The company works closely with customers from the conception stage considering variable involved in real estate development, to create space from less footage, using height, width, and depth intelligently to provide mechanical and automated parking systems customised to their client’s needs. 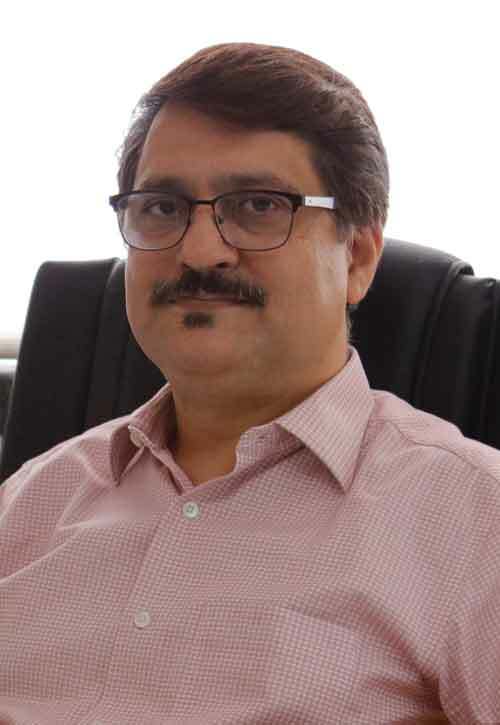 Ajay Raina, Chief Executive Officer, Tedra Automotive Solutions Pvt. Ltd., speaks to Shashidhar V about the various solutions that they offer, and their aspiration to become the third largest player in this segment, as they make their transition from a contract manufacturer to a brand in their own right. After manufacturing for other leading brands, you have only now entered the market under your own brand name. What was the thought process behind this? The opportunity is large and we have been working hard and contributing for the segment for many years only for others. Just watching it grow being on the sidelines, this was not where we thought we should be. So, we finally decided that it was time to take the plunge and enter the market with our own brand. Look at it this way, in a city like Mumbai; parking spaces are being sold at around `15-`20-lakhs each. Car ownership and vehicular traffic is increasing rapidly by the day and parking vehicles is becoming a key concern for anyone owning one. Provision for adequate car parking facilities is mandatory as per laws for any construction approvals in many metros now. This country, therefore, needs viable parking solutions to decongest roads, residential and commercial complexes and we want to be an active participant in achieving this. So, if you were to estimate, what is the potential for the growth of the industry? That would be about `2000-cr by 2022. It is a recessionary industry at the moment, so the pie is huge, and only a fraction of it has been targeted as of now. The industry is growing at a good 25-30 per cent per annum. Presently, I would estimate the industry to be close to `900-cr. And, these are official figures. There is no centralised data. Most of the players in these industries are closely held companies. There is no published data available and, nobody shares data. So, my estimation today is that Klaus, Wohr, are doing a turnover of approximately `120-`130-crores each. RR Parkon is doing about `100-cr, again estimating. There are also other manufacturers who are doing about `70-`80-crores per annum. So, overall, the size of the industry is roughly about `900-crores. You call it a recessionary industry, and yet you put the present growth at around `900-crores. How would you justify that? I say that because projects are not taking off as they should at the moment. Parking solution is the last priority for any developer in a given project. Parking comes in only once you have tenants moving in, or the owners moving in. Only then there is a need to provide parking. Or else, you need an Occupation Certificate (OC), and parking is part of that OC. Think about it, parking solutions come even below the consideration for an elevator. If the project is on hold or delayed for some reason, the developer will keep your order for a parking solution on hold. It is only when the developer of a project is sure about beginning of the sale of the project, that he initiates placing order for the manufacturing of parking solutions. So, the direct marketing of parking solutions started off just 3 months back. Yes, a little over 3 months. Is the raw material used for the parking solutions procured locally? Yes, all of it is procured locally. Even the critical core components are manufactured locally by global giants, and we procure these from them. We use the best brands available as quality remains a top priority for us. For instance, we procure the PLC from Mitsubishi, a leading worldwide manufacturer. However, we only deal with Mitsubishi in India, nothing is imported. Similarly, steel is procured from major Indian manufacturing companies like Jindal, Tata and Essar. Do you think it would make a difference if you imported these solutions and marketed them locally? There are many who do that. They import these systems from China, assemble them locally and sell them to customers. But, we didn’t want to do that. The primary reason is that we are not sure that we will get the right product, and the right quality that we are looking for. In our industry, a lot of your success depends on the life of a product. We, here, strive to engage a customer for the next 25 years. Unless we know what we have done, we cannot guarantee a life of 25 years for our product, as we do at Tedra. It is important to know what one has actually done with ones product. The technology that has gone into it, the quality of steel that has been procured, the thickness of steel being used, safety equipment like sensors, bearings, controllers, motors, etc., and whether it will last the customer five years, 10 years or 25, considering local conditions in India. On the other hand, when one imports from China, one gets a CKD and one is selling what has been imported. You will be surprised to know that we have been contacted by quite a few users who have imported these solutions from countries like Korea and China, who are now asking for our assistance to repair them. They are regretting their decision because they cannot find any suitable service outfits locally. We are trying to change the software, hardware, even both in some cases, to re-integrate their systems. Some companies and their representatives in India have no long-term arrangement or commitments to the Indian market as they just want to sell. What we have come to realise is that there are many Chinese manufacturers coming into the Indian market, and suddenly, after 3-4 years, a majority of them close shop, or just vanish after selling their systems. Then, one finds 10 more players have entered the market. So, clearly, these fly-by-night operators do not maintain an association with the project. There is no relationship between the manufacturer/supplier and the customer. And, unless such a commitment exists, there will be no customer confidence and market cannot grow. That is why whatever we do, we do it in-house. We source our products locally, we learn the new technologies that are being offered globally, get the ideas and put them down, tweak them to suit the Indian market. Then, after thoroughly testing them at our plant, we offer these to the Indian market. If, in our search for new technologies, we find an interesting design, we negotiate with the manufacturer or owners, pay for the design and bring it to India. We also visit exhibitions and attend seminars on global trends in parking. All our learning is put into a practical shape in our plant through extensive R & D efforts. So, the designs that you presently offer have all be developed in-house. Yes. All these designs are in-house. All of these designs have been conceived by my core team of engineers and designers with more than 20 years of experience in the car parking businesses. Our company has an incredibly knowledgeable team working on the development of products. As some components are vended out, we have developed a very good vendor base supplying us quality materials. They are aware that we don’t compromise on the material that we use on our solutions for manufacturing and we take great interest in their technical and quality processes. But, then, you do find similar designs with similar technology in many parts of the world. So, are these copies of the original designs? I won’t say that these are copies. By that logic, all cars would be copies of each other. It requires a huge amount of innovation, technical expertise and knowledge of local conditions and regulations to develop a product that would run successfully here in India, a product that stands out among others and makes a difference. Do you offer customised parking solutions for each project, or do you offer generalised but intelligent solutions which developers can choose from that best suits their project needs? Yes, that is how we want to evolve this company. I would like to say that we are parking consultants and advisors first and parking solution manufacturers later. Our core strategy is to get involved with the customer at the initial stage itself so that the developer can plan the parking along with the rest of the project, rather than consider parking as an afterthought when he encounters a problem. We would like to work as advisors of car parking systems, and not just as suppliers of car parking systems. We will provide apt solutions, for sure. Considering that the market is currently in a recessionary trend, as you say, would existing constructed buildings such as hospitals, or office complexes, or even affordable housing, which is doing good, which have not planned for such high volume of vehicular traffic in the complex be your main market, rather than planned and upcoming projects? One can do little with existing spaces. Say, for instance, there is a hospital which has already come up. And, let us assume they have a basement which is of only 3.0 metres high. That is what the developer thought would suffice when he planned the project and constructed accordingly. So, in three metres, I cannot accommodate two cars. I need a minimum of 3.8 metres to accommodate two cars so that I can at least double his parking capacity. Typically, if you were to think of construction, between 3 metres and 3.8 metres, the cost of construction wouldn’t go up at all. It would hardly matter to the developer. But, you are providing space for two cars. If, on the other hand, he has not planned anything, I cannot provide him with a viable solution. I will probably look out for some space available somewhere in the compound and suggest some solution to him. In such a situation, I am not customising my solutions to his needs, I am giving him a product from the lot that we have. For large parking, for planned parking, you have to sit with the developer, understand his project and give him a suitable solution. But, that is for large parking. I am looking at it differently. It is obvious that your market is pan-India. And, one city vastly differs from the other, be it in terms of the volume of vehicles, or the way the city itself if planned. I realise what you are getting at. Let me give you an example. In a city like Mumbai, I have a customer in South Mumbai who has requested for Tower Parking for his office complex. I would not get such an order from New Mumbai. Orders for Stack Parking will come from New Mumbai, while South Mumbai doesn’t have space; they have to invariable settle for tower parking. We have inquiries for 20-25 towers for this South Mumbai office space, which we are currently discussing and, none for New Mumbai. Delhi, for instance, despite its dense population, would opt for stack parking. And, that is because land is still available. What are your initiatives for Smart Cities, considering that you have the option for planning for parking at the concept stage itself? There have been quite a few tenders that have been floated, since the government, as part of their smart city agenda, has become a large buyer for such solutions now. We have bid for Nasik, which is coming up as a smart city. We have also bid for Belgavi. My personal experience is that the government has still not understood the parking issue. They typically want us to go under the BOT model. This cannot operate on a BOT model because we are seeking revenues from the public and, nobody is going to pay us enough money to park his car in the mechanised parking system. At the cost structure that the government is planning, it would probably take at least another 100 years to recover the cost. So, I think that model is failing, and the government too is realising that it is not working. We did manufacture parking systems for a project at Nagpur, Nagpur Improvement Trust: a corporation for development of Nagpur City. They had a better idea. They leased out a piece of land to a builder who constructed a hotel and, in turn, he was asked to provide a public parking space by the authorities as in a tower parking system to facilitate public parking in the area. This builder sourced the tower parking and we manufactured the same for NIT for 70 plus cars. The parking was provided to facilitate public, and that man makes his money developing his commercial space and running that hotel for the next however many years that he does. So, you think that providing commercial parking solutions in this manner is the way forward for urban centres. This is the only way that it would become viable. Otherwise, people won’t be interested in running business for public parking. Are there more smart cities that you have bid for? We had offers from Ahmadabad, but that is on a BOT model. And, we are not interested in that. Actually, we are not interested in handling government business to a very large extent. That is not our forte. So, consciously we have decided to maintain that portfolio to 15 per cent of the total business. Conducting business with government agencies is not a cake walk, in terms of payments, getting stuck as prioritise keep shifting, projects getting delayed for approval and multi agency involvements, the local politics, etc. So, we decided that as we are growing, it would augur well if we confined the business to about 15 per cent of our total exposure. As I said before, we bid for Belagavi, Nasik, a few projects in Delhi. We are very choosy about the projects that we pick. You say you are yet growing your business. And, you have to pit yourself against already established names. So, how would you carve a niche for yourselves in this competitive market considering that they too offer very similar solutions? As I said before, I am not projecting myself as a parking systems manufacturer. I am projecting myself as a parking consultant and advisor, advising on solutions that can help optimise parking in limited space. When I discuss with my customer, at the initiation of the project, I advise him, without charging any fee. That means, every month, we are visiting almost 80-90 customers who have projects in their inception stage, some even in conception stage. We tell them what exactly needs to be done in terms of parking solutions. And, our experience has been that out of these 80-90 customers that we visit, at least 40 are going to come back to us. And, out of those 40, at least 25-30 will end up buying our solutions. That is our experience as well. We are building on the relationship right from the inception. That is the primary differentiating factor while dealing with customers. Secondly, our systems, as I mentioned before, are totally made in India. We give you a technology that is global, available in India, made at the Pune plant. We guarantee that this product will function without any trouble whatsoever for the next 25 years. I have a service team fully backed up and a commitment to provide you a life-long hassle free parking service. Today, we are covering Bengaluru, Mumbai, and Pune. And, in the next couple of months, we will be moving into Delhi as well. The infrastructure starts with appointing a sales team. We follow this up immediately by appointing a service team, so that I have at least 4-5 experienced personnel at a given location who know what is to be done if anything were to go wrong with the equipment. If an order comes within 15 days, I have the capabilities of executing it immediately. And, that is how we differentiate ourselves from others. How many service touch points do you already have presently? We have about 10 people in Mumbai, out of which three are in marketing and the rest are distributed into service and installations. We have benchmarks. There are categories of breakdowns. If the breakdown is minor, we will sort it out within an hour or two. If it is a major breakdown, our service engineers have been instructed to sort it out within six hours. And, if there is a shutdown, total breakdown of the system, then we inform the client that we will service it anywhere between 24 to 48 hours. You have 10 people in Mumbai. What about Bengaluru and Pune? In Bengaluru, we have six people presently. In Pune, we have four people with sales and service, but then, you have the entire manufacturing unit here in Pune. Delhi, for us, is the next big market. We don’t yet have much experience in the north of the country. We are a bit cautious at the moment about how do we approach the market. Looking at the growth that you plan going ahead, do you think that you need to have another manufacturing set up to cater to the northern market? At present, this is the place that I would like to operate from. We can manufacture around 4500 to 5000 pallets in a year. If you multiply 5000 pallets by an average of `2.0-lakhs, that would be a good turnover per annum. That is the projection we are looking at for in the initial two years. If we have to expand, we will. My first priority will always be to bring things under control. We don’t want quality to be monitored somewhere else, procurement to be done from elsewhere. For a manufacturing set up, centralisation is very important. Unless the volumes in the north market and other parts would justify a new manufacturing set up, we don’t plan on moving. We are totally focussed on manufacturing these systems centrally, closely monitored. We can then ensure that the quality of our systems is best in the industry. Competing with the big players and matching up to them is a challenge. Our goal is to be the third biggest player in this market by 2022. We are confident of achieving our goals. We made a business plan of achieving `90-cr for the current Financial Year, and we have already achieved `10-cr in April this year. How many shifts are you currently working on? That would depend on the kind of work pressure and delivery schedules that one has. If volume increases, we work on two shifts. Normally, we work in a single shift. Amongst the various parking solutions that you offer, where do you see a high demand coming from? We think the maximum demand is going to come from Stacks. Stacks, going ahead, will be akin to a consumer product. It will be the one that will be sold in large volumes. Then, also, it is the most competitive. But, the higher we go, the better it gets. If I am selling Rotary, or Tower, or Cart systems, the technology gets better. My focus would be confined to the high-end solutions. That should ideally be of about 70 per cent of our business. What is the justification for that, considering that the volumes are rather low in high-end systems compared to Stacks, as you just said? As I mentioned to you earlier, I have around 20 prospective parking towers in South Mumbai. Volumes are not really low. Comparatively, Stack volumes are high, because somebody who is doing an office complex will demand 700 stacks because he wants to park 1500 cars. Someone who is doing an export-oriented business will need 3000 stacks or some figure like that. The volumes are really large there, but it is highly competitive and the margins are very low. Stack is not that exciting. Anybody can make it. It is not a technologically challenging solution. In short, it is not a challenge. In my opinion, around 40 per cent of the business will go to the low-end systems while 60 per cent of the business will come from the high-end Towers, Rotary, Carts, etc. And, I foresee Tedra being a leader in the Rotary parking system category. By the end of the year, we will have the largest number of Rotary’s in the country. Do you say that because you have lesser competition in the market in that product? Yes. The bigger players haven’t gone in that direction. We have taken up that challenge, with a perfect product to offer. How do you maintain the quality of your final product that comes out of your factory? There are three stages to that. Once the procured material comes in, we have an inspection team that thoroughly checks for any inconsistencies in terms of thickness, paint quality, hardness of the material, etc. Our suppliers have to submit test reports for the material supplied. Then, there is an online check. Whatever material goes online, it is continuously monitored. Finally, before we send the system out into the market, we conduct a thorough check once again. And, if at any stage, it doesn’t meet our quality standards, it will be torn apart. There is absolutely no compromise on quality. One of your sister companies is into robotics. Are you utilising their expertise in the manufacture of your parking solutions? Yes, we are. As I said, we are into conveyers and industrial lifts, and our concept of designs for car parking has come from the Robotics set up. There are lot of other things which we use, especially on the programming front. For instance, how we want to programme and control our parking systems comes from our robotics experience. Telematics is the new buzz word. Is that something that can be incorporated in parking solutions as well? Telematics is not rocket science. What is telematics? You are interacting with a system. You are interacting with a card. The concept is very clear. It can be implemented. Today, you can have an access card. If you want, you can call your car from your Smartphone. It is not high technology. Access cards are something that we already offer, if a customer wants. So, if somebody has a designated parking slot, the person can just swipe the card and his/her car will come. On diagnostics, when you see the pattern of behaviour in your controller, which is the brain of your parking system, you can read the system errors. Here, many parts are mechanical. If there is a tear in the rope, it has to be physically seen. You cannot do it online. If the bearing of the motor is gone or the motor is noisy, you have to physically see it. You cannot do it online. So, physical observation and inspection is necessary. What are the pitfalls that you foresee in your race to the third position? One, my competitors are very strong in terms of financial strength, presence and backgrounds. Comparatively, we are still babies but, we are determined. We are confident that we will make it to the top. The market is big, and that offers us a huge opportunity to grow. Then, you also have the prices of steel that keep fluctuating and technology that needs a constant upgrade. What are the disruptions that you see in your industry? I think the biggest disruptor is the government. Policies keep changing. Luckily, in the last few years, policies have been very encouraging for the parking solutions segment. Now, for any project that you do, you have to first plan for the parking as well. I think the government has to include parking as part of FSI across all major metros. Then, developers will be forced to provide proper parking for the tenants. Public parking also has to undergo a sea change and this will happen only when automated parking solutions are made available. Considering the competition in your product segment, to what extent does discounting by your competitors impact your business? There are certain products which almost anybody can manufacture. And, there are many run-of-the-mill players who will provide cheaper parking solutions. We have to compete with them. There are quite a few players in the unorganised sector who make Stacks. And, we are competing against them. It does impact our margins. That is the reason why I said earlier that I would go in for a high-end product rather than be married to a low-end product. If you have a good customer, he will never buy it from these fly-by-night manufacturers. At the end of the day, it is the quality and the brand that triumph. You have been manufacturing parking solutions for other leading brands in the industry for well over eight years. And, you have only now decided to launch your own brand. Do you still continue to service that equipment? Do you still ghost manufacture for the others? As I said earlier, we took a conscious decision to honour whatever old contracts that we still have. But, we will not take any more fresh business from them. We will neither lend our designs nor borrow theirs. Are there any new verticals that you plan to enter going ahead? We have a vision to be a total integrated parking solutions company. That is the thought process. Right from ticketing process, boom barriers, computerisation/GPS tracking of parking lots, CCTVs, to fully automated high volume parking lots. We want to be there in all known and recognised as a company that facilities and makes the parking process a pleasure. Would such a parking solution also work for 2-wheelers? Yes, it does. We are already working on a product for 2-wheelers. I have `10.5-cr worth of orders in hand currently and we are in the first month of financial year. We have around `25-cr worth of orders which are in process, which I hope we close by the first quarter. In our industry, a lot of your success depends on the life of a product. We, here, strive to engage a customer for the next 25 years. All of these designs have been conceived by my core team of engineers and designers with more than 20 years of experience in the car parking businesses. Our company has an incredibly knowledgeable team working on the development of products. I am not projecting myself as a parking systems manufacturer. I am projecting myself as a parking consultant and advisor, advising on solutions that can help optimise parking in limited space. Our goal is to be the third biggest player in this market by 2022... We are confident that we will make it to the top. The market is big, and that offers us a huge opportunity to grow.